so would you say this fixes incorporated I can start on sleeve draft? I think you should give her some shoulder pads in the final dress. 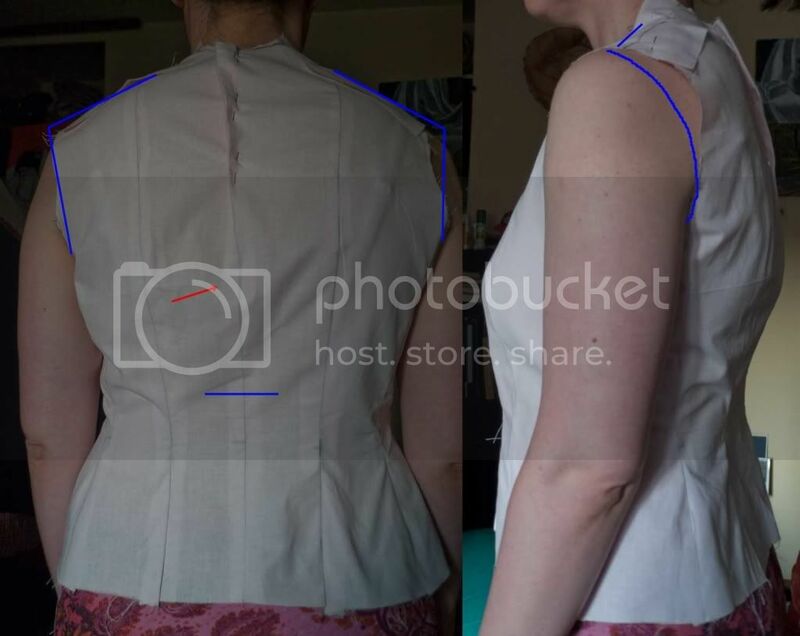 And pin the CB seam down a bit further to about the waist line. What sort of fabric are you going to use for the dress?